Overview : The Datacolor Spyder4Pro is a display color calibration solution designed for photographers and creative professionals that need to match prints to their displays. It includes the ability to adapt to ambient light conditions. Spyder4Pro features a patented, full-spectrum 7-color sensor that can accurately characterize a variety of wide gamut and normal displays. Spyder4Pro software lets you use the same sensor to calibrate your monitor, laptop computer, iPad, iPhone and projector. No other calibrator has this capability. The fourth-generation sensor uses double-shielded filters for longer life and better performance. On average, accuracy and precision are improved by 26% and 19% respectively. Quality/Usability : For most photographers, color management is not something we have integrated into our workflow but to some, color management is vital to photography. Some must wonder why its necessary to calibrate your screen. Well, calibrating your screen can save you time in post processing as it will give you a more consistent look and better color accuracy. As years passes, computer screens can change in how color is displayed. Your computer will think it's displaying the correct color but may be completely different. The Spyder4Pro will take a reading of what the screen is actually displaying and it creates a profile to adjust the colors where it is needed. The Spyder4Pro is Datacolor's mid-range Spyder device. Spyder4Express is the lower end and Spyder4Elite is the higher end of the product line. There's also a Spyder4TV HD that lets you calibrate your HDTV. Spyder4Pro will cover most photographer needs since it calibrates all types of computer monitors (LCD, LED, CRT, etc.). 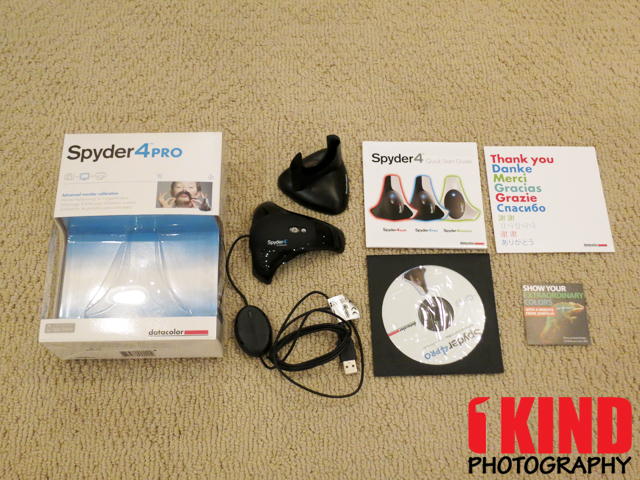 Included with the Spyder4Pro is the calibrating device, stand, CD and booklets. It included a coupon code for 20% off Zenfolio but it was expired. I didn't try to see if it was still active even though it had an expiration date. The Spyder4Pro looks like a spaceship at first glass. 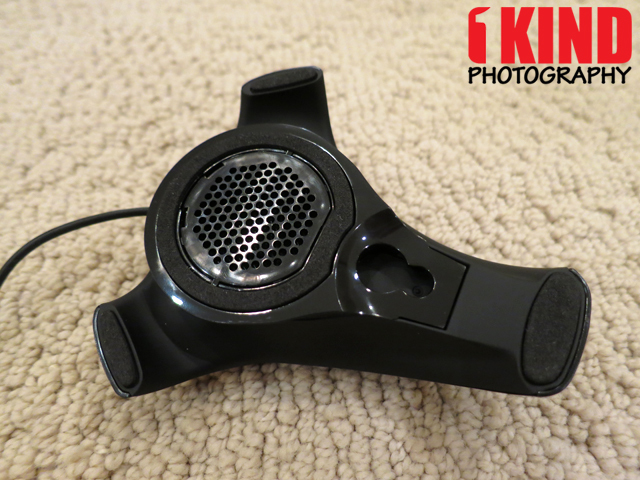 On top of the Spyder4, are is an LED and a light sensor for ambient light. Underneath is a sensor that will calibrate your monitors color when it flickers through the multiple colors displayed during the calibration process. There's also foam padding on each leg so that it does not scratch your monitor. There's also a mount on the underside of the Spyder4 that lets you attach a suction cup for CRT monitors but for whatever reason, I didn't get that in my package. Attached to the Spyder4 is a USB cable. The round oval piece attached to the USB cable is a counterweight for when you have to hang the Spyder4 over your monitor. It is adjustable as well if you need to adjust the counterweight. 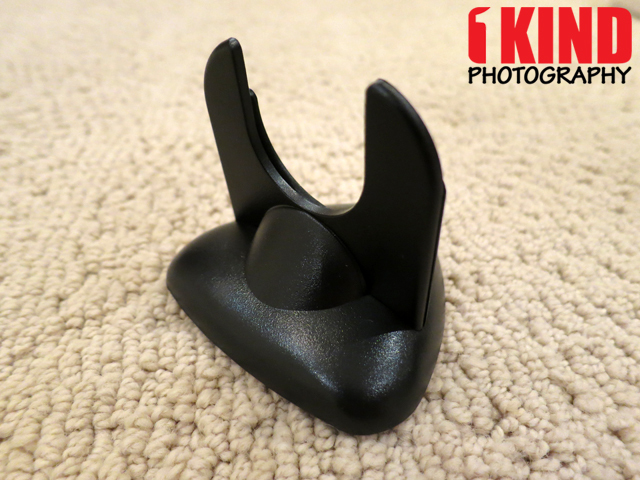 Another piece that is included is a stand. 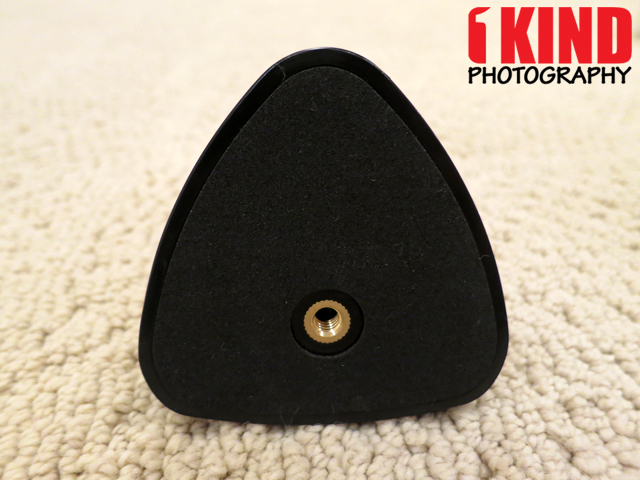 This is used during the ambient light calibration and also to hold your Spyder4. Underneath is a tripod mount if you need to attach the stand to it. But I don't see why you would as you're mostly be placing it on your desk by your monitor. Ensure that the monitor has been turned on for at least 30 minutes before you begin the calibration process. Also be sure that there is no direct light shining on your display. 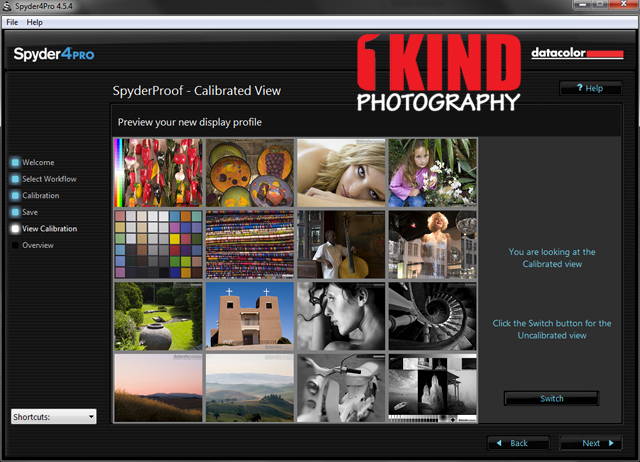 Install the Spyder4 software with the included CD or you can download from the Datacolor website. You'll need to enter the serial number to activate the Spyder4 software. *Note: Be sure to write down the license code that is provided and put it with the CD, as you'll need it if you ever need to install Spyder4 onto another computer. It will also be emailed to you as well. 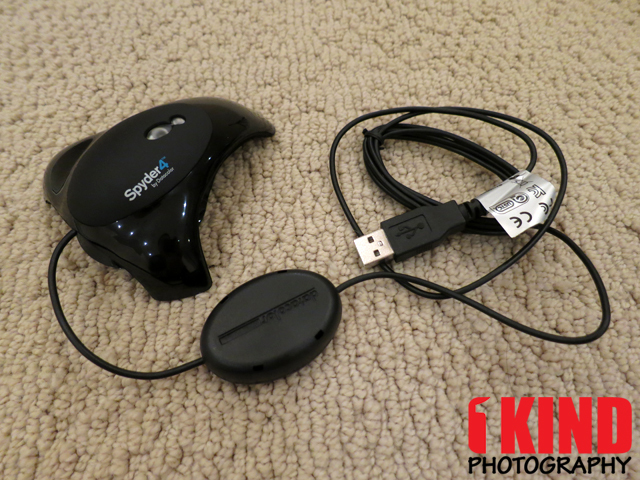 Plug the Spyder4 into a powered USB port before you launch the Spyder4 program. Once the program opens, you are presented with a checklist. Simply read through each item and move on to the next step. One thing to note, ensure that your monitor is reset to factory settings. If you're on a laptop or MAC, you don't have to worry about this. 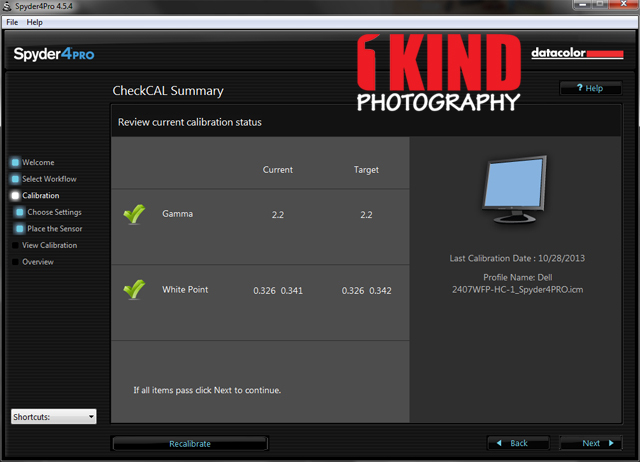 Now, the actual calibration begins. The program will guide you through the process. When the time comes, hang the Spyder4 over your display. Use the adjustable counterweight if needed. You may need to angle the monitor to assure the Spyder sits flat on the screen. It takes approximately 3 mins to complete. Once you hit "Next", your computer’s screen will start to flash a series of different colors and in multiple shades. 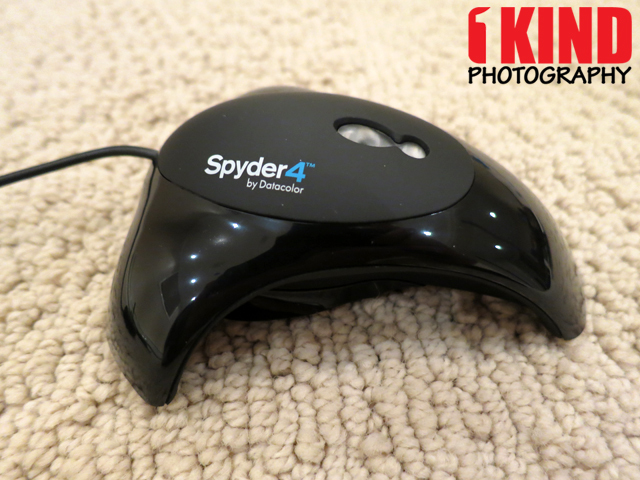 The colors that flash will let the Spyder4 help calibrate your monitor correctly. After the calibration is done, it will ask you to save the custom display profile, which your operating system and color managed applications will use to correct your displayed colors. After it's done being calibrated, you can check to see if its been calibrated correctly by opening the Spyder4Pro program and under CheckCAL, you can see the comparison between your current profile and the target. What I like about the Spyder4 is that you can compare your current settings against your previously uncalibrated profile. The difference can be pretty drastic. If you're a color geek, you can compare your new profile to some standard profiles like AdobeRGB. There is also an option for advanced analysis that lets you analyze different settings such as gamut, tone response, brightness and contrast, and white point at different OSD settings. If you don't know what all this technical term is, no need to worry. So as long you're calibrated, that is most important. This is for those who are more advanced in color settings. 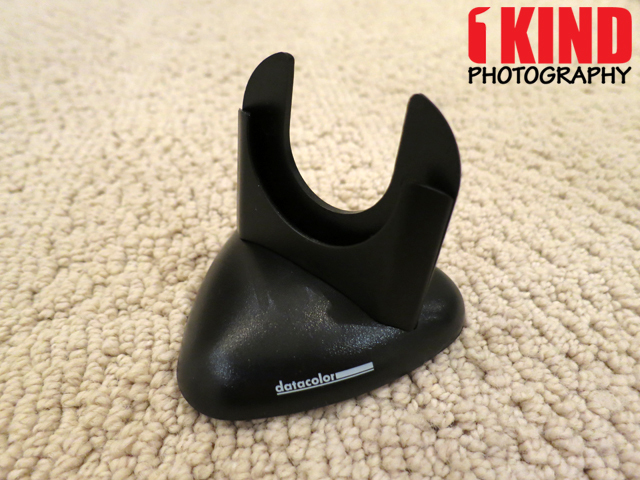 Conclusion : Overall, the Datacolor Spyder4Pro Monitor Color Calibration is a must have for photographers. Having the right color will ultimately affect the outcome of your image and consistency. The program is very easy to use during installation and calibration. To keep things consistent, calibration should be done every 6-12 months.